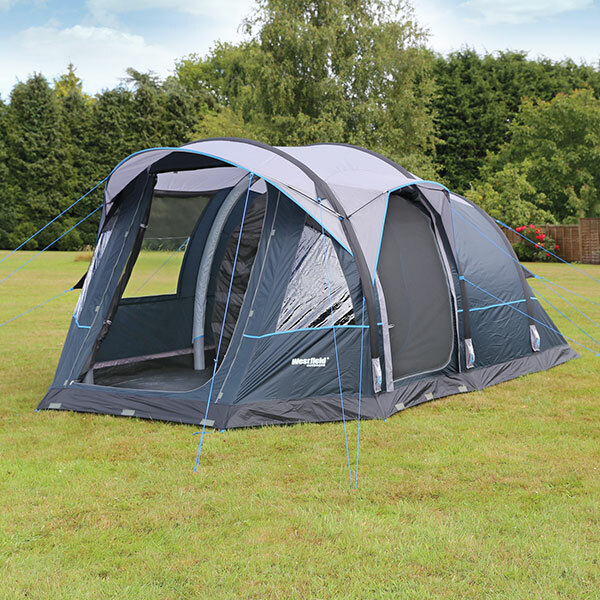 The Quest Westfield Outdoors Travel Smart Travel Smart Orion 4 Air Tent is lightweight, can be put up by one person and is your ideal companion on those short weekend camping breaks with friends or with family! The Quest Westfield Outdoors Travel Smart Travel Smart Orion 4 Air Tent features in Quest’s Travel Smart range and its Hyrodtech SL material is lightweight for packing to a smaller size for travelling and touring! 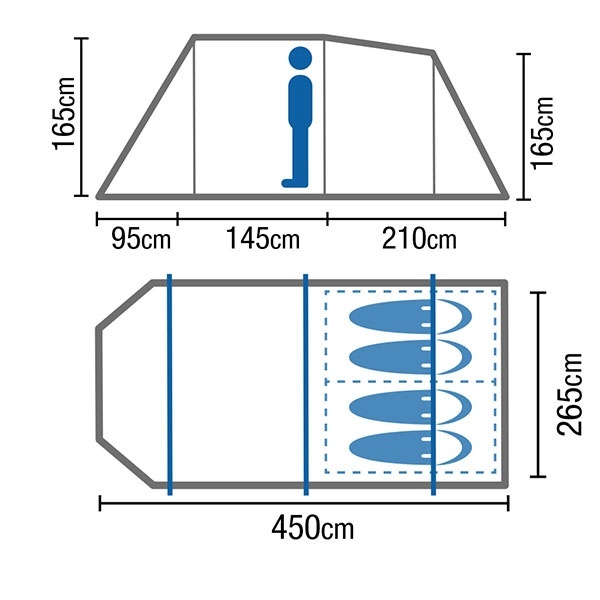 The tent sits at a depth of 450cm and offers plenty of space up front to house your camping gear and equipment! The Air Erect System uses three layers of protection for optimal strength and stability. The internal bladder is the part of the air tube that you inflate while the PE cover protects the bladder and aids stability. The beams are housed in a protective sleeve, providing the third layer, which is sewn into the awning. 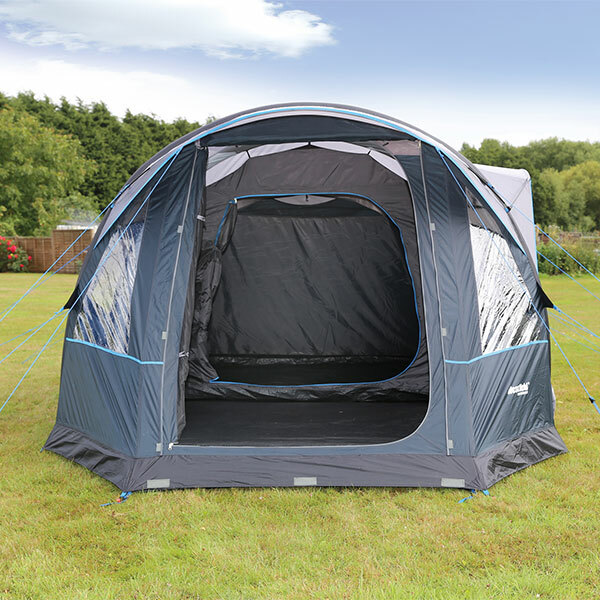 With the re-enforced PE cover offers additional strength where the tube corners of bends and ultimately forming the unique shape of the awning. 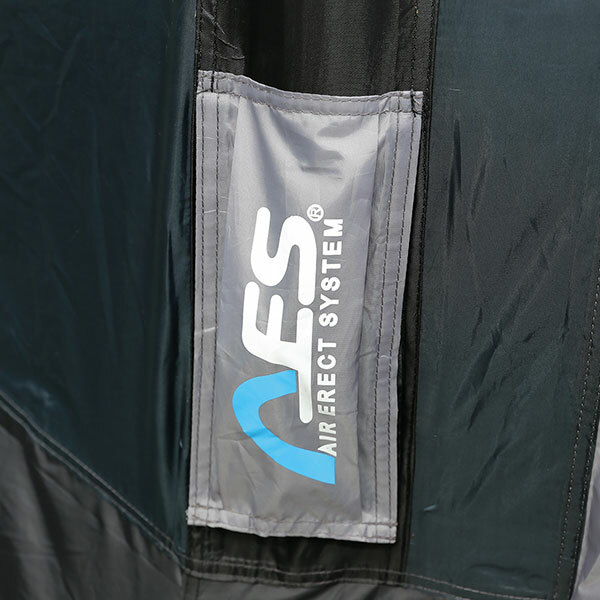 The tent’s canvas has been produced from Quest’s Hydrotech SL fabric. 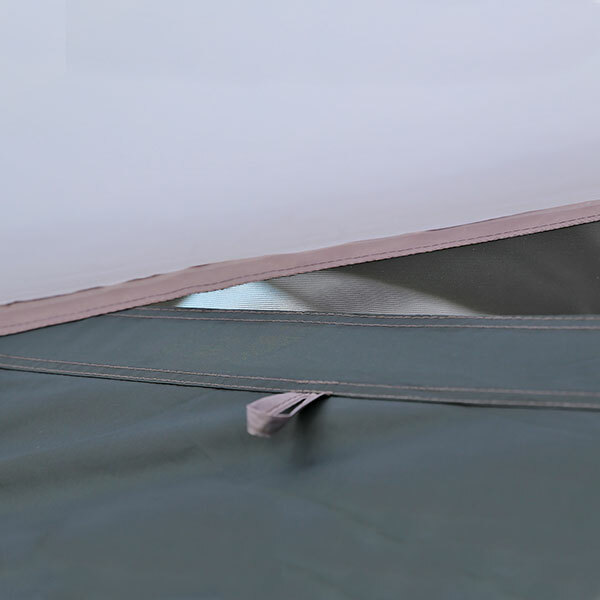 This is a lighter gauge material recommend for simple travel awnings, the fabric itself is a UV coated and treated 190-T Polyester that provides a manageable canvas for ease of pitching! The UV coating protects the canvas from fading and going brittle against harmful sun rays! The material is fast drying as it does not soak up the rain with thanks to its 3000mm Hydrostatic Head waterproofing. The clear view windows provide great view out and let in ample of light! On those sunny days the internal blinds provide effective sheltering from the sun’s rays, as well as providing privacy and helping to maintain a comfortable environment inside the tent. Side access provides an alternative entry and exit point and also saves walking though the porch area to access the inner tent compartment.! 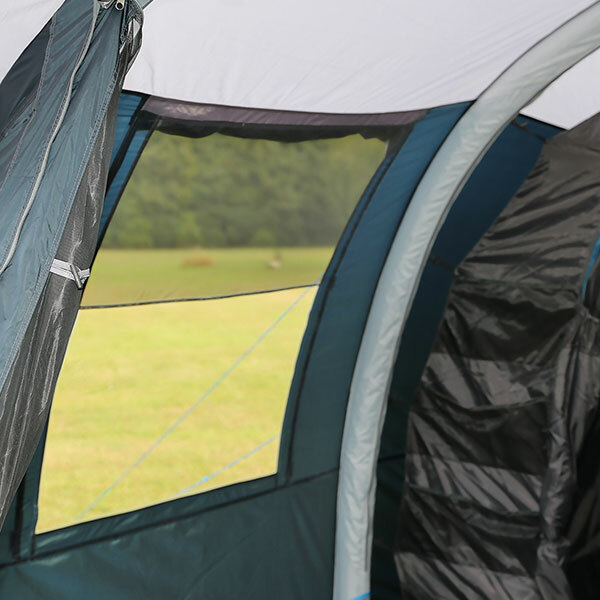 The front overhang on the Orion provides that additional protection against the elements and helps to keep the front entrance cleaner; as conditions allow (acts like a small canopy). Packed 73 x 35 x 30 cm.